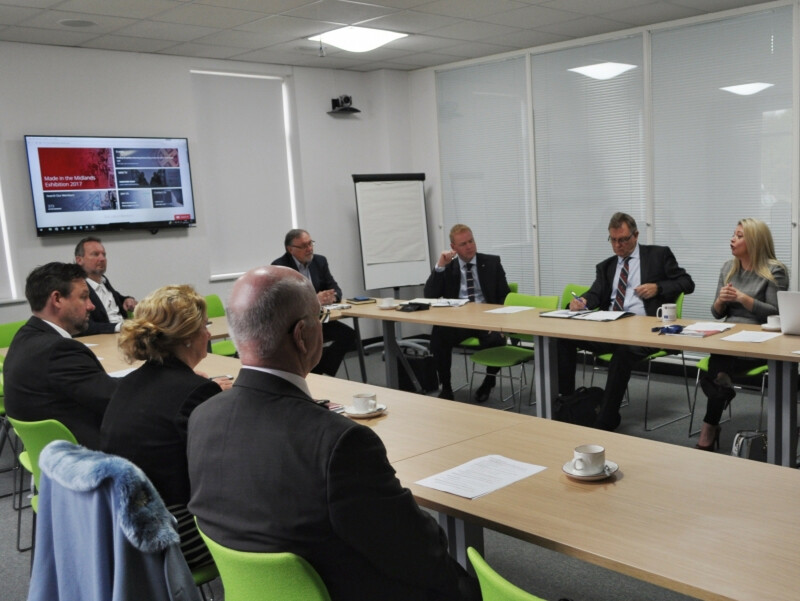 At a Made in the Midlands (MIM) Council meeting earlier last week, it was agreed that the organisation would hold a 'Britain's Manufacturing Manifesto' event on the 8th May at Birmingham City University, providing members with the perfect opportunity to discuss and feed in to the ten pillars of the governments' Industrial Strategy. Taking the format of an open forum brainstorming session, there will be 100 places available for Directors of Made in the Midlands member firms to discuss and contribute ideas regarding what support you believe Midlands and UK industry should receive from government over the coming five years and beyond. Made in the Midlands will then summarise the findings as part of a published report, which will then be handed by our Non Executive Chairman Lord Whitby directly in to Greg Clarke and Theresa May in Downing Street. "We've all moaned for so long about not being given share of voice in Government discussions. Well this is our opportunity, now is the time to take it." The government insists that the recent industrial strategy green paper represents an ambitious long-term vision for the UK, however it has been accused of being "short-termist" and a continuation of existing policies rather than the step change that's needed in reality by many MP's. Furthermore, the green paper offered an "open door" challenge to industry to approach government for "sector deals". Whilst the concept of sector deals has been questioned by the Business, Energy and Industrial Strategy select committee, it is very apparent that the strategy provides little clarity on how regional rebalancing will work and there is significant opportunity for industry to stake their claim in regions such as the Midlands. "This is the first time something like this is being done, with industry being able to feed directly in to the Industrial Strategy of Government. The Industrial Strategy needs to have ownership, needs to consider the social and cultural yield of any decisions that are made as part of it - as well as the economic. It has to benefit the wider society. Economic benefits are too often short lived, whereas social benefits are longer lasting." Made in the Midlands 'Britain's Manufacturing Manifesto' event is your opportunity to have your voice heard. We want you to get involved in these discussions and for your ideas to be heard. For too long Midlands industry has been ignored and undervalued. As Made in the Midlands' influence grows within government, our aim remains steadfast, to represent our members and the wider Midlands manufacturing community. To achieve this, we need you to turn up to events such as this. Agree or disagree with the contents of the Industrial Strategy green paper, we cannot argue that this represents a huge opportunity for Midlands industry to shape governments industrial plans moving forward. We urge you to get involved with our event. Places will be limited to 100 Directors, so please act quick to avoid missing out.